By Ron Clemmer, Strategy and Business Development Manager, WASH, FHI 360. FHI 360 brought together speakers who are leaders in the area of systems thinking and also practitioners who are implementing a systems approach for international development for the Challenge Conference. The keynote speaker was Otto Scharmer from the MIT Sloan School of Management, who with Katrin Kaufer co-authored, Leading from the Emerging Future: From Ego-System to Eco-System Economies. Being the pragmatic engineer that I am, some of the presentations that peaked my interest the most were from FHI 360 colleagues discussing the application of systems approaches in their development programs. A systems approach that FHI 360 staff has developed in conjunction with USAID is SCALE (System-wide Collaborative Action for Livelihoods and Environment). Ten years of learning through the implementation of the SCALE systems methodology to accelerate broad stakeholder engagement in sustained collaborative action to address a complex development issues has now resulted in FHI 360’s development of SCALE+. If you want to explore more of Deepening Systemic Engagement, the Challenge Conference highlight videos and materials can be found here. World Toilet Day is also about more than toilets because of the significant impact of good sanitation on maternal and child health, neglected tropical diseases, HIV/AIDS, education, and nutrition. World Toilet Day has a special linkage to nutrition this year, and 2015 World Toilet Day was chosen as the day that WHO/UNICEF/USAID are releasing the important publication Improving Nutrition Outcomes through Water, Sanitation and Hygiene: Practical Solutions for Policies and Programmes. My FHI 360 WASHplus colleagues managed the development of this publication in collaboration with the publishing agencies. 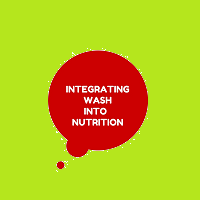 And the integrated activities in different countries implemented by WASHplus and its partners are contributing practical knowledge and tools that will help guide WASH-nutrition integration in the future. ABOUT THE AUTHOR: Ron Clemmer joined FHI 360 in May 2015 after working with World Vision as Senior Technical Advisor for WASH for six years. Ron is passionate about building sustainable water and sanitation services through the public and private sectors, hygiene behavior change that becomes habit, and integrated programming of WASH with nutrition, HIV, neglected tropical diseases, education, and women’s empowerment. 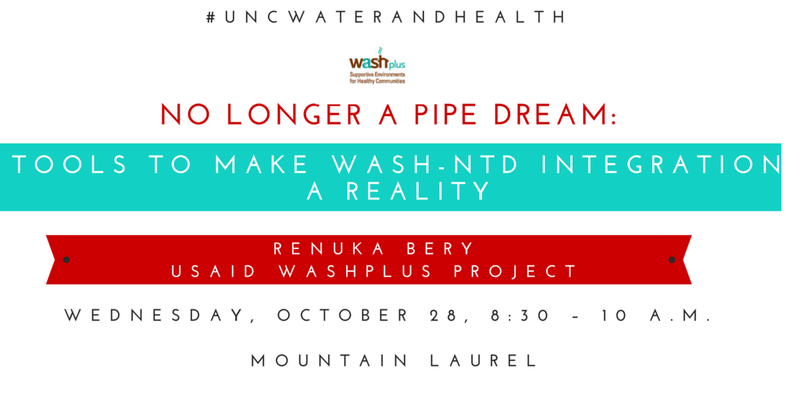 The WASHplus is in Chapel Hill this week (October 26-29, 2015), presenting at the UNC Water and Health Conference organized by the UNC Water Institute. Conference presentations can be viewed on the WASHplus website. Here are presentation highlights, captured from conference attendees’ tweets! On Global Handwashing Day and every day we dedicate ourselves to increasing awareness and understanding about the importance of handwashing with soap to prevent diseases and save lives. 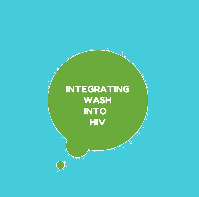 Please see below handwashing resources developed by WASHplus on: the small doable approach to handwashing; how to make tippy taps for handwashing; making a habit of handwashing; and integrating WASH into nutrition and HIV programs. 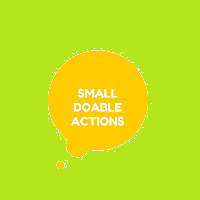 Small Doable Actions: A Feasible Approach to Behavior Change, Learning Brief, 2015. 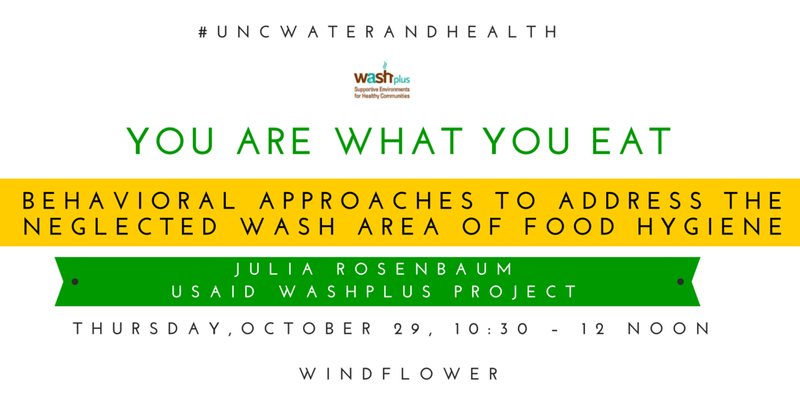 This brief takes a look at how WASHplus has applied the Small Doable Action approach to handwashing, water treatment, improved sanitation, menstrual hygiene management, and food hygiene. 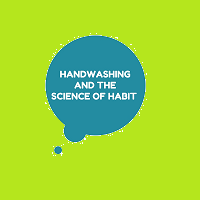 Handwashing and the Science of Habit, Webinar, 2014. 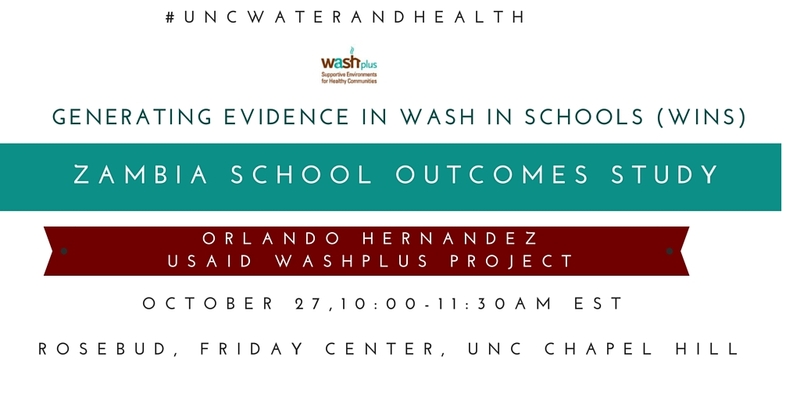 This webinar emphasizes ways to apply the basic science of habit and behavior change to real world health interventions and program delivery, with a focus on behavior change for handwashing with soap. Integrating Safe Water, Sanitation, and Hygiene into HIV Programmes: A Training and Resource Pack for Uganda, 2014. This training manual teaches the four key WASH practices: safely transporting, treating, storing, and serving drinking water; safe handling and disposal of feces; safe handling and disposal of menstrual blood; and handwashing with soap (or ash) and water. Integrating Safe Water, Sanitation, and Hygiene into Infant and Child Nutrition Programmes: A Training and Resource Pack for Uganda, 2014. This resource pack can aid health workers in helping household and community members to overcome, or change, the many daily obstacles to improved water, sanitation, and hygiene (WASH) practices in the home. How to Make Other Types of Tippy Taps, 2014. This pamphlet shows how to make Tippy Taps for handwashing from mineral water bottles, tin cans, and hollow tubes. The tippy tap is a hands free way to wash your hands and is especially appropriate for areas where there is no running water. 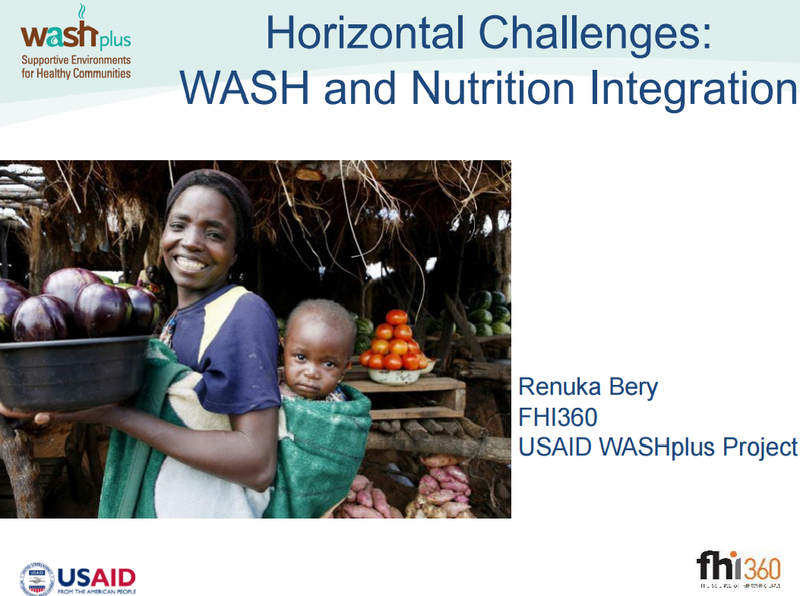 Renuka Bery, FHI360/USAID WASHplus Project’s WASH Integration Specialist presented on “Horizontal Challenges: WASH and Nutrition Integration,” at the 38th WEDC International Conference, in July 2015. WASHplus staff participated in four events at the 2015 Comparative and International Education Society (CIES) Conference. From the WASHplus SPLASH Project in Zambia, Chief of Party Justin Lupele spoke on a panel hosted by the USAID/Zambia education projects on “Why WASH Is an Essential Element of Quality Education.” A poster on the same theme was also displayed. 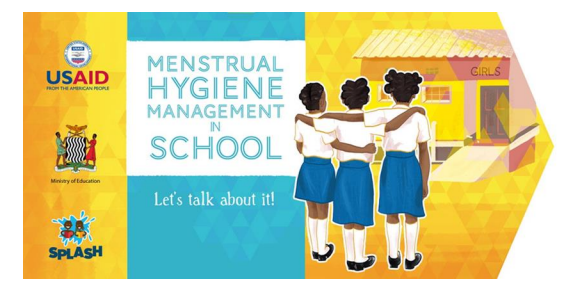 Sarah Fry, WASHplus’ Senior Technical Advisor on WASH in Schools, made a presentation titled “Let’s Talk About It: Safe and Equitable Learning Environments in Zambia,” which focused on SPLASH’s Menstrual Hygiene Management (MHM) advocacy and activities. Renuka Bery, WASHplus Technical Advisor on WASH & Nutrition Integration, facilitated a workshop on “Clean, Fed & Nurtured,” along with Carol da Silva from FHI 360, and Monica Woldt from the USAID FANTA Project. Participants formed groups to conduct an activity around Identification of Risks and Opportunities in WASH, Nutrition, and Early Childhood Development in the Home and Surrounding Community. The presentation that accompanied the workshop can be viewed here.